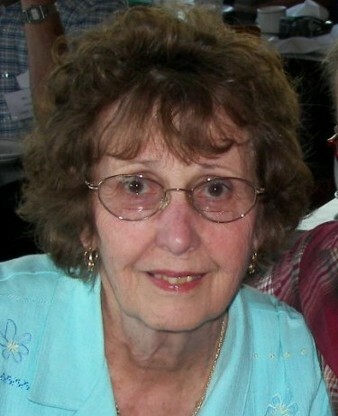 Lois Louise Benscoter-Agnew, age 90, of Council Bluffs, Iowa passed away on March 14, 2019. She was born November 25, 1928 in Leon, Iowa to the late Lloyd & Niada (Merrill) Baker. Lois was a houseparent at Iowa School for the Deaf from 1978 to 1984. Lois is survived by her daughter, Louisa Taylor (Mike); grandchildren, Rachel Kapp (Jacob) and Matthew Taylor; great grandchildren, Coby Kapp and Rebecca Kapp; siblings, Lowell Baker (Donna), Kay Stott (JL); sisters-in-law, Pauline Baker and Margaret Baker; and many other family and friends. Funeral Service is Monday, 11:00 a.m., at the Hoy-Kilnoski Funeral Home with the visitation the hour prior to the service. Interment will be in the Lewis Township Cemetery. Thanks to Hoy-Kilnoski Funeral Home, Council Bluffs, Iowa and Susan Whitt for the information.